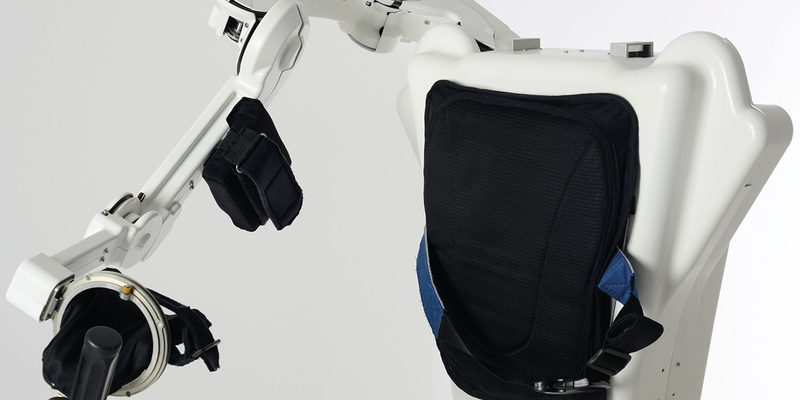 Our company produces and develops wearable robotic systems and exoskeletons for rehabilitation, assistance and human-power augmentation. We are specialized in upper limbs and lower limb exoskeletons for improved mobility, enhanced force capability and recovery of motor function. 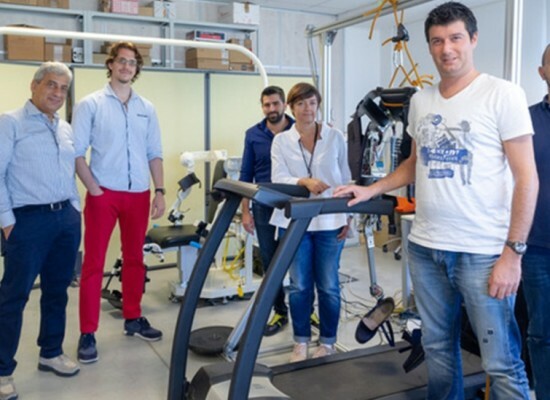 KineteK, the medical division of the Wearable Robotics, aims at development and commercialization of robotic solutions for physical and functional rehabilitation of movement. 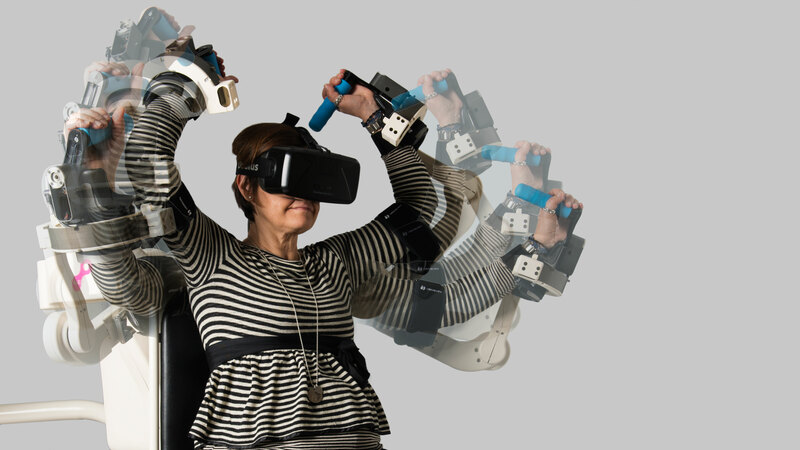 KineteK robotic solutions allow personalized and task-oriented training based on immersive and virtual reality interfaces, with high motivation and involvement of patient. 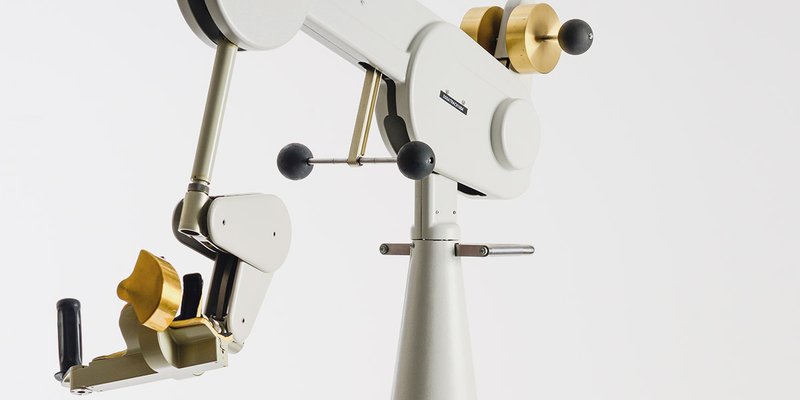 Our solutions are devised in collaboration with international clinical centers, physical medicine and rehabilitation departments and undergo rigorous clinical evaluation in order to address clinical and therapy needs. Task oriented training is essential to enhance motor learning. 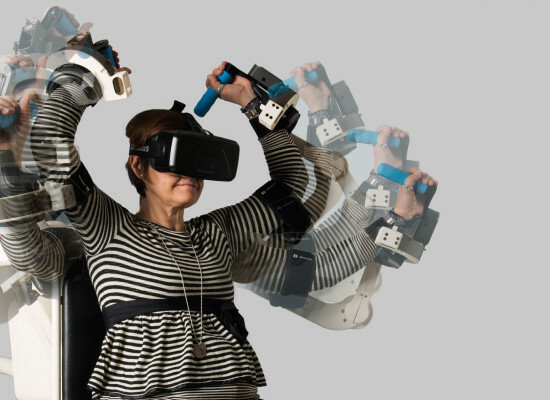 The unique combination of robotic interfaces with computer generated scenarios allows to tailor the difficulty of proposed tasks to patient’s ability. The most fundamental principle in motor learning is that the degree of performance improvement is dependent on the amount of practice. Our systems allow to schedule high-intensity therapy sessions featuring playful and enjoyable setting scenarios. 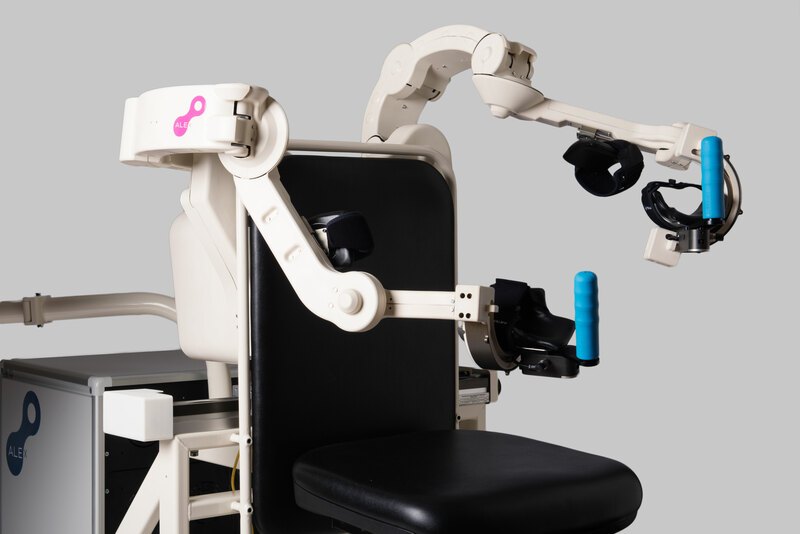 Our robotic solutions allow continuous recording of movement, automatic extraction of parameters for characterization of improvement over therapy sessions. Il servizio di Forbes France su Wearable Robotics.